A lush garden and traditional Rana/Newar home are the setting for Mike's Breakfast,Kathmandu's most delightful destinations. Enjoy fine cuisine and soft music in the garden and come up to wander through the gallery which showcases traditional Newari painting and bronze arts, as well as showing a diversity of modern exhibitions. Mike's, famous as a haven for a hearty pre- or post-trek meal, still has the city's best country breakfast; Mexican dishes like burritos, enchiladas and tostadas; Pizza, Burgers and great desserts. 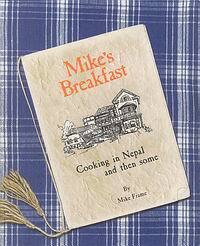 For the morning wake up, business lunch, Grill dinner or special party, Mike's Breakfast is your best bet. With the change in time, we at Mike's Breakfast have focused on the evening dinner menu, including the beauty of the illuminating garden feeling while having a good time with friends during a memorable Grill dinner party. We received support from a Swiss Chef, Mr. Alfred Gafner. With his experience we offer dishes cooked with high quality ingredients, all prepared from scratch, with a great focus on hygiene. Come enjoy the restaurant in town, where the blend of east and west is at its best.